Wow! This elegant, updated penthouse with vaulted ceilings is a must see! Easy access to I-225 and minutes from light rail, shops/restaurants! You are welcomed with a bright and open floor plan highlighted by the sparkling new kitchen w/new self close cabinets, granite, SS appliances, and hardware with a custom peninsula island containing back loaded cabinets for extra storage! 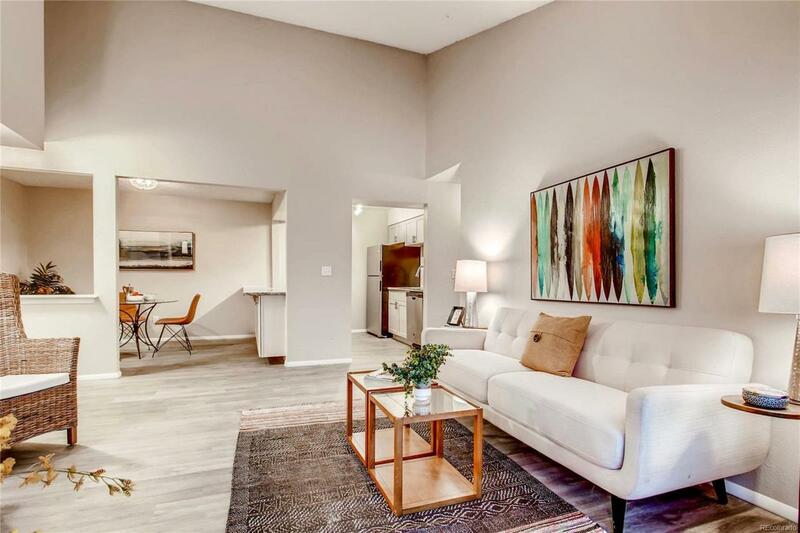 Cozy fireplace, two private suites with separate bathrooms, custom tile work in both bathrooms and new cabinetry and hardware, new flooring, fresh paint, and a private, covered balcony backing to open space and trails for entertaining! Perfect for a cozy new home or for a great rental! Don't miss out!